Eosinophilic esophagitis is a chronic allergic/immune condition. The condition requires treatment from a gastroenterologist or allergist with an understanding of the methodology involved in providing relief from symptoms. 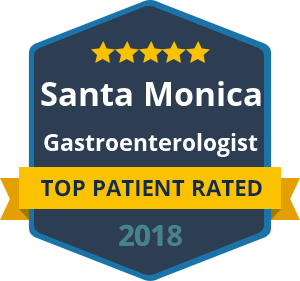 The disorder is complex, so it helps to work with someone like Dr. Yamini, who specializes in treating gastroenterology conditions including allergies such as eosinophilic esophagitis. Food testing directed diets involves eliminating specific foods from your diet that are potentially aggravating the symptoms of EoE. The next step is eliminating major food allergens if chronic symptoms persist. If Dr. Yamini recommends an elemental diet, the patient is instructed to refrain from consuming any food or drink that contains protein. There are also medicines that have been shown to help reduce the symptoms of EoE, although there are no FDA-approved medications currently approved for the specific purpose of treating the condition. Dr. Yamini will discuss medicines with you as part of a comprehensive consultation at his California offices. The only way to diagnose eosinophilic esophagitis is through an endoscopy and biopsy of the esophagus. There are also very specific steps that a gastroenterologist must follow when EoE is the suspected cause of symptoms. If you are suffering from EoE, you may experience symptoms including difficulty swallowing, food becoming stuck in the esophagus, chest and abdomen pain and vomiting. Diagnosis involves allergy prick skin testing carried out by an allergist or gastroenterologist. Food impacting (sticking) in the esophagus is a medical emergency, making undiagnosed eosinophilic esophagitis a potentially life-threatening condition. Treatment will greatly reduce the severe symptoms and risks of EoE and is available under the care of Dr. David Yamini. If you have difficulty swallowing or food gets stuck when you do, reach out to the offices of Dr. David Yamini today to arrange immediate diagnosis and treatment.